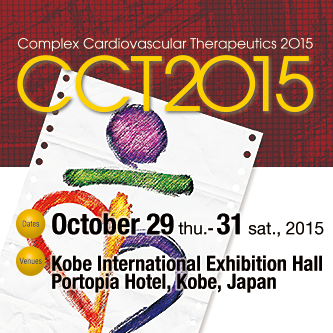 Last year, CCT has successfully finished with over 4,700 attendees from inside and outside Japan. We have broadcasted live demonstrations from 5 domestic and 1 overseas sites and operated 31 PCI and 10 EVT cases during CTO, EVT, TAVI and other lesion subset-themed live demonstrations. These cases have been reviewed mainly by hosting physicians in Special Program “CCT Live Playback Session” and been discussed with guest physicians and audiences. We are planning to hold this program also this year as Special Program from the perspective of examining one case carefully and thoroughly along with “Live Case Pre-discussion Session” in Morning Session. Other than CTO, this year’s live demonstrations intend to broadcast the most challenging lesions such as LMT, Bifurcation and Calcification. The highlights of the live demonstrations at CCT are to show how to create a treatment strategy, how to tackle with an unexpected situation as an expert, and how to overcome the situation in order to obtain the best result against complex lesions. This is also a mission of CCT.